At some point the kids will move out and depart from home, leaving Mom and Dad with the house to themselves. No more fighting for the TV or having a permanent mess in the kitchen. No more ridiculous amount of laundry, and no more late-night curfews to deal with. An empty nest presents a unique opportunity and sought-after extra time in your life, but it comes with some real estate related responsibilities along the way. Waiting until the kids have left home to think about selling your house may be too late. If you know that once you are in the home alone or with your partner, that it will no longer serve you to keep it, start making plans before the kids leave. Speak to a qualified real estate agent to enquire about recommendations for helping prepare your home for sale later on; begin making plans or consider options for what you would like to have as alternative housing if you sell your current home. 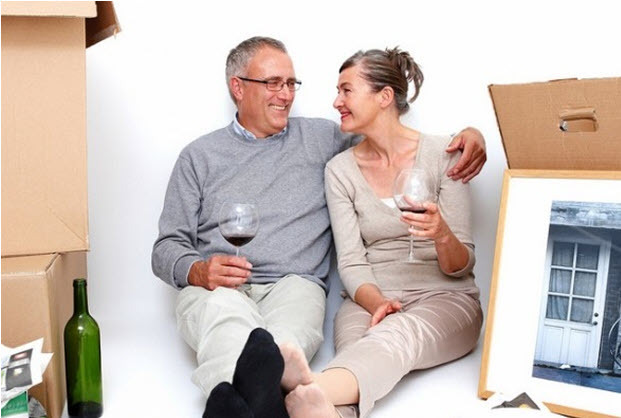 While many people just want to downsize and purchase something smaller, there are many other options available. Those other options will be very much determined by the goals you have for yourself in the years ahead. Many couples put off plans to go travelling or to own a specific property while they have kids. As a result, when the children leave, some couples want to sell their house, purchase a motor home and travel across the country; others want to sell their home in the city and downsize to a smaller townhouse or condo on the beach or in popular smaller communities. Whatever those plans may be, now is your time to take advantage! Get clear on the goals for where you want to spend your time and then work with a real estate professional to meet these goals. One of your goals and a component of your changes should be to make some more concrete plans for retirement. Up until now, you may have been investing a lot of money into your child’s education savings plan or saving for them to go to school. With this expense gone, there are other areas which are more pressing for you to turn your focus, and retirement is definitely one of them. Make an appointment to speak to a financial advisor about your investment options, or consider the option of an investment property, and book a time to speak to a real estate agent or property broker. A transition into empty nesting is an exciting time, but like any major life change, requires planning and preparation. Although buying a home can be therapeutic, any major life change can cause stress. If you know you will be having a quieter, less occupied house in the coming years, start now to make some plans. You can reach out to a professional real estate agent that specializes in seniors and downsizing to help you along the way, and they are more than happy to help guide you through this new stage in your life.